Pawning your Rare Old Books- We offer Loans against Rare Old Books! If you have a collection of old and valuable books, you could be unlocking their potential by securing loans on your rare old books at our award winning pawn shop in Mayfair, London. 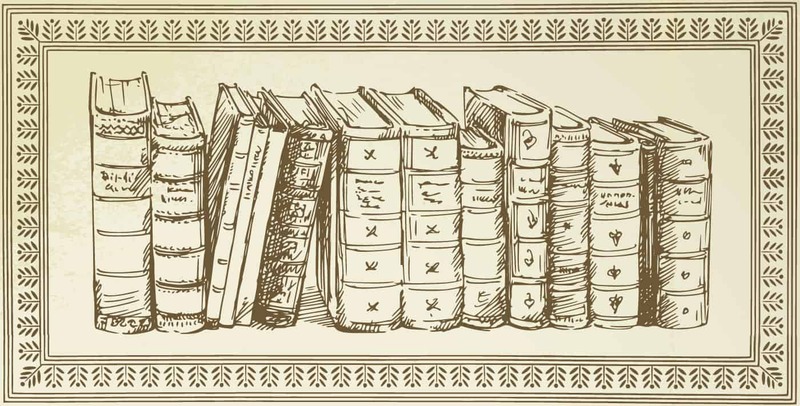 Whether you have a few first editions, or an extensive collection, we can help you pawn old rare books, enabling you to finance any large purchase you may have in mind. With over 25 years experience, we use experts in the world of rare and valuable books to appraise your collection. By using us to borrow against old books, you’ll be gaining access to experts who will research everything they can about both the book and the author. By knowing the timeline of the author, we’ll be able to determine when your books were published. We also have plenty of expertise when it comes to printing methods, meaning we may be able to tell the age of the book by how the paper feels and how the text looks. Other ways to determine the type of book collection you have is by checking whether all the original binding remains intact. Rebound books can often lose plenty of value, so the closer your collection is to its original condition, the more likely it is that you’ll be able to pawn rare old books for a significant value at our London shop. If you’ve been searching for pawn shops that take rare old books then we can help. We have plenty of knowledge when it comes to everything from first editions to rare manuscripts, and we can help you determine the value and condition of your collection before coming up with a price for your rare books. We conduct extensive research into the books, meaning it doesn’t matter how rare your edition may be. We’ll work to determine the open market value of your collection before allowing you to borrow against rare books. At New Bond Street Pawnbrokers, our knowledge helps set us apart. We only work with experts who will study your collection closely in order to complete your valuation . In reaching the valuation, our experts will look at everything, starting with the title, author and the publication details. Other aspects that could affect the value of your rare book collection include the provenance, its overall condition and even the presence of any comments on the binding or the dust jacket. Due to the fact the condition is highly important, it’s always best to let one of our assessors take a look at your book collection in person by bringing them to us on Blenheim Street if possible. If you bring them to us, we can take look at every aspect of your book collection, allowing us to reach a valuation that’s both accurate and fair when providing any loans against rare books. When it comes to loans against rare books, there are certain titles and periods which you may want to seek out in your collection if you’re looking to come to us for a professional book appraisal. As we regularly provide loans against old books, we often see books printed before 1501 reach a higher value. It’s also worth looking out for any American titles you may have which were printed before 1801. Banned books could also help you borrow against old books, especially if there are only a few remaining copies of the title. We have decades of experience when it comes to lending against rare books, meaning we regularly see collections that have a high value. If you have a collection, keep an eye out for titles that are universally known as well as popular authors. First editions of classic children’s books such as ‘Peter Pan’, or novels like ‘A Catcher in the Rye’ are continually popular, and more likely to ensure you secure the finance you need. To loan your rare books, be sure to get in touch with us today. Our confidential service provides you with 100% of the agreed loan price and we don’t perform any credit checks. To start the process, either fill out the contact form or give us a call on 020 7493 0385.